The classic Nutter Butter cookie gets a makeover with some cream cheese! 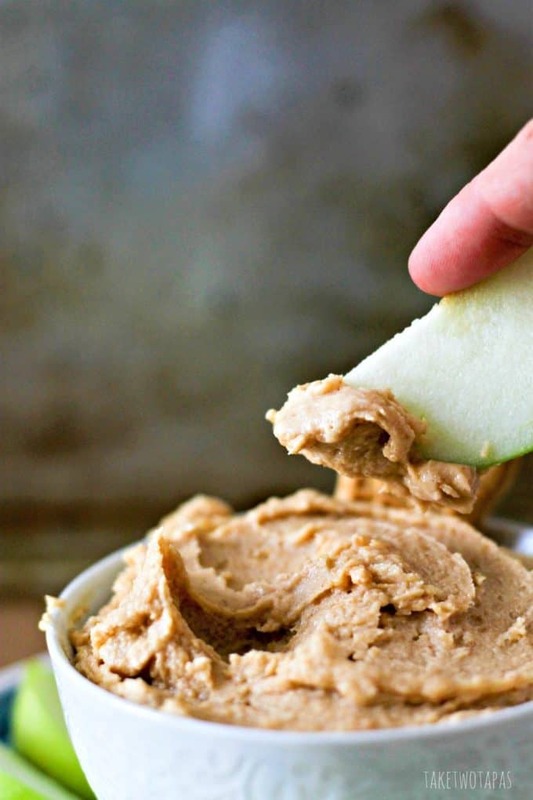 Spread it on some tart apples for the perfect afternoon snack! Don’t like apples? Grab your favorite thing to pair with peanut butter and dig in! Ever had someone call you and invite you over to their house for dinner, immediately get excited, and then freak out because you can’t show up empty-handed? What am I going to bring? What scraps do I have in my fridge? What can I make with hot sauce, sliced cheese, and leftover chicken legs because that is all I have in my house? This very thing happened to me this morning! 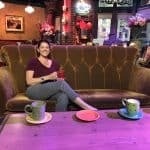 I am so excited to go over to their house because they make the best food, have great drinks, and ALWAYS have great conversations. The only problem is that it’s a school night, kids have a tennis match an hour away, and I don’t have time to whip up an elaborate dessert or appetizer. What can I make in such a short time that still tastes amazing? Peanut butter is always in my pantry. Hello, I have kids. They have eaten a bajillion peanut butter sandwiches in their lunch boxes over the course of their school careers, and the oldest is only in middle school. But I always have peanut butter. Something else I always have on hand is cream cheese. It holds up quite well and lasts a long time. I usually buy some blocks in bulk, when on sale, and store in my fridge. You can freeze it, but the texture changes a bit when you thaw it, so use frozen cream cheese for casseroles. Back to the lunch boxes, there are always apples too. They travel well. I use this corer/slicer to prep them while I am still half asleep in the am. To answer my questions of what to bring, what do I have time to make, what can I make that will travel well, and what is the easiest thing to whip up and still be worthy of a silver platter? 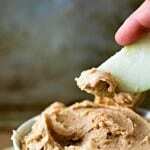 Nutter Butter Dip with Apples! This dip is a little easier than my Oreo Cheesecake Dip, a little healthier than my Margarita Dip, and satisfies the peanut butter cravings I tend to get in the afternoon. It can technically qualify as a snack since I am eating it with apples and it does have protein in it from the peanut butter. Yep, let’s go with a snack! Nutter Butter cookies are my hubby’s favorite, and I haven’t bought them in almost a decade because he destroys a bag faster than a race car can make it around the track at Daytona! I broke down and bought a bag last week to see if my youngest would like them and decided to make a dip with them. Another sneaky way to get him to eat more apples. He only likes the tart Granny Smith variety and peanut butter pairs best with those. I am going to whip this Nutter Butter Dip up right now, on my lunch break, and bring it to the dinner tonight. In regards to whether or not to bring an appetizer or a dessert? This counts as both!! Mix the cream cheese and peanut butter until combined. Fold in the whipped cream topping until smooth. Crush the cookies and sprinkle into the dip. This step is optional. Since I used the creamy peanut butter, the cookies add some texture but you can always leave them chunky. 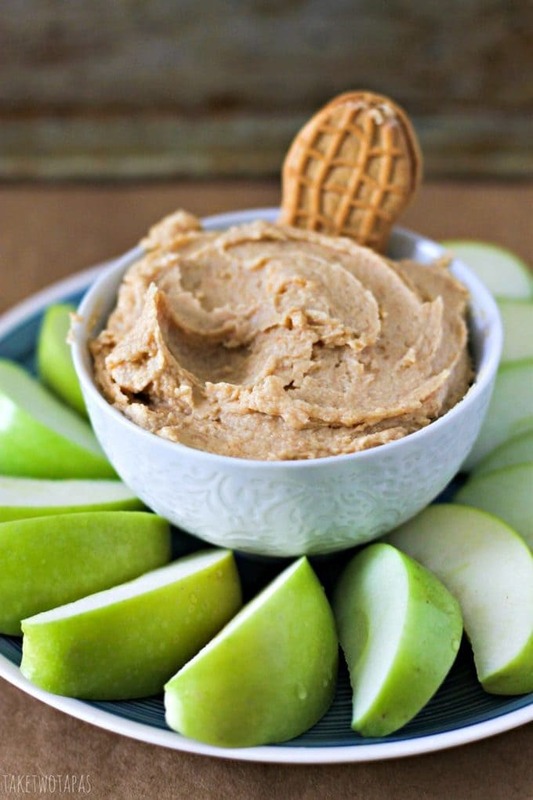 Serve with sliced apples or your dipper of choice! *To keep your apples from browning, add 1 tablespoon lemon juice to 1 cup of water. Slice your apples and toss them in the mixture. Drain and then store in an air-tight container until ready to serve. I hope you like it! It is my hubby’s favorite too! Yum this looks great!!! I have never tired such a dip with apples and now I know that it is something that I need to do ASAP! Thanks for sharing with us at Throwback Thursday, this will be featured at tonight’s party! Hope to see you there. You guys are fast becoming one of my fave blogs! The dip sounds marvelous! Thanks for sharing this with us on Throwback Thursday! Thanks so much and I love your party!! Yummm!! That looks so good. I love just about anything made with peanut butter. You dip looks delicious! I’ll be featuring it at tomorrow’s Snickerdoodle Sunday Party. Thanks for partying with us! Thanks for the feature and a great party! Jennifer, can you believe that my kids are NOT into PB? I’m thinking that with this dip of yours I could make a good start in educating their young palates. Yum! I love peanut butter and Nutter Butters have always been a favorite. What a fun dip! I love this dip! This is definitely something I would get addicted to too! 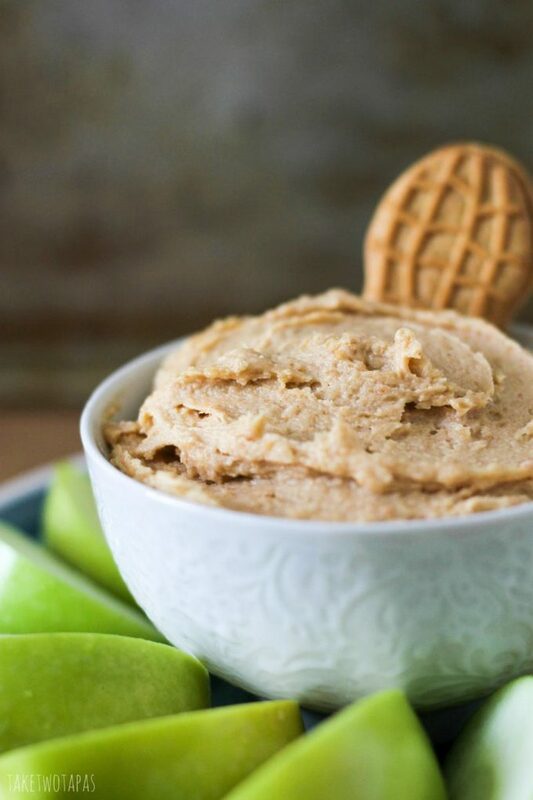 I love eating PB and Apples together, but to add Nutter Butters too? HELL YES!